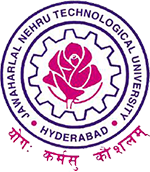 JNTU-Hyderabad Released 2-1 B.Tech R13 Regulation Computer based test time tables. Exams will be conducted 12-01-2015 and 13-01-2015. NOTE: (i). ANY OMISSIONS OR CLASHES IN THIS TIME TABLE MAY PLEASE BE INFORMED TO THE CONTROLLER OF EXAMINATIONS IMMEDIATELY (ii). EVEN IF GOVERNMENT DECLARES HOLIDAY ON ANY OF THE ABOVE DATES.THE EXAMINATIONS SHALL BE CONDUCTED AS USUAL.